Hello there and welcome to this month's Clearly Besotted Challenge. The theme this month is Christmas. 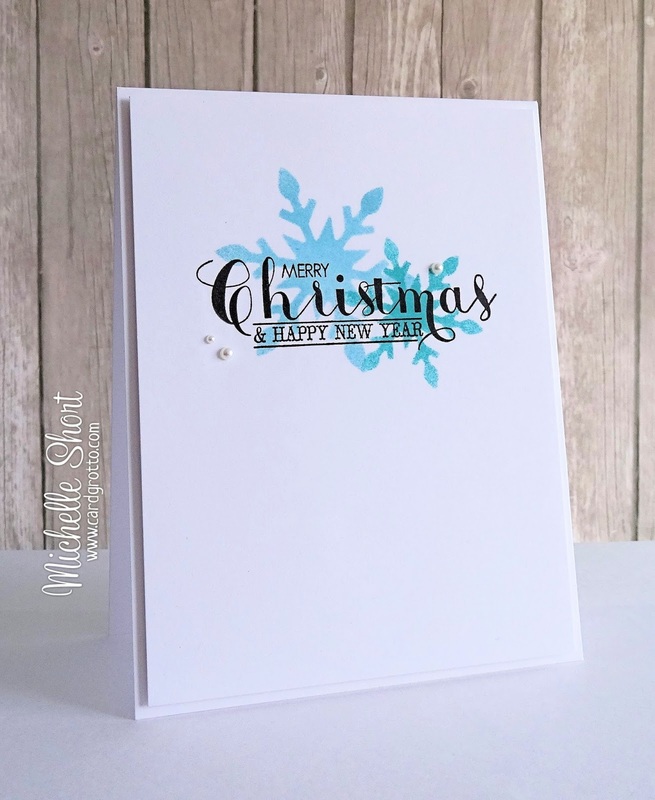 For my card, I have started off by die cutting two of the snowflakes from the Snowflake Trio Die Collection from mask sheet. I have then used these as a stencil and added TH Distress Ink to them in a pouncing method (instead of the usual blending method) on to piece of white cardstock. I have then taken one of the sentiments from the new Most Wonderful set and stamped this on top using Versafine Onyx Black ink. I have finished off the card by adding the panel to a white card base with foam tape and then adding few pearls. The challenge win run for two weeks and a randomly selected entry will win a £30 Clearly Besotted e-Gift Card. For further details please visit Stephanie, there you will also see the rest of the samples from the Design Team. Thanks so much for visiting me today. This is gorgeous Michelle. 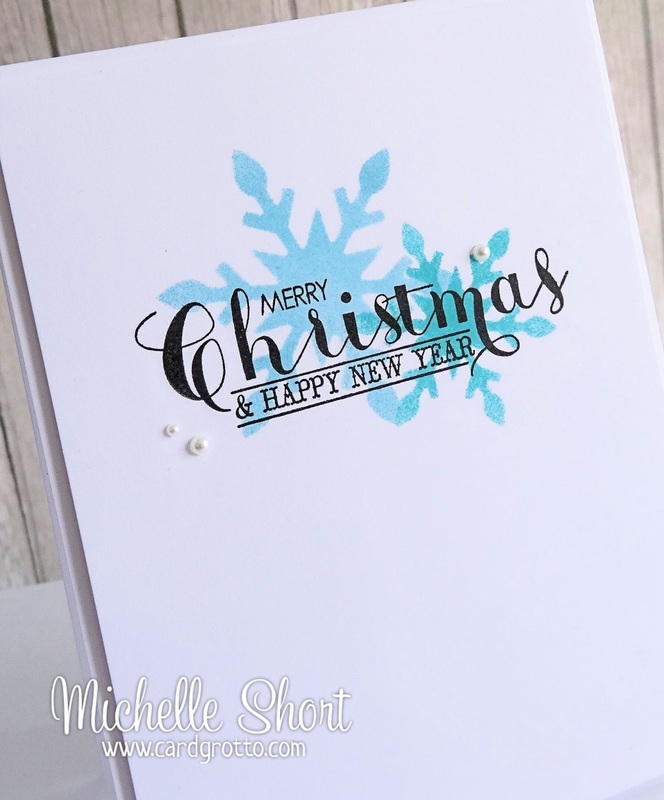 I love how you have used the snowflake dies as a stencil and the colours are beautiful. This is gorgeous. True CAS perfection.